March is National Kidney Month, which is why we're devoting our newest post to a rather "painful" topic: kidney stones. Several of our doctors have talked about kidney stones via video (check out our YouTube Channel here). We've compiled three of their interviews into one helpful article below. First up is Dr. Justin Gould who discusses how a person's lifestyle can influence their risk for developing kidney stones. "Kidney stones are a very common problem for many people. They seem to be increasing in prevalence, as people lead more modern lives and based on the types of foods that they eat or how much fluid they consume. Increased risk can go up over time as well. Luckily, there are many types of treatment options available to treat kidney stones. We have minimally invasive procedures where a stone can be pulverized in a matter of minutes versus some traditional procedures that require open surgery. We also can analyze stones and see what causes them in people to help prevent them from recurring in the future." Watch Dr. Gould's complete video. 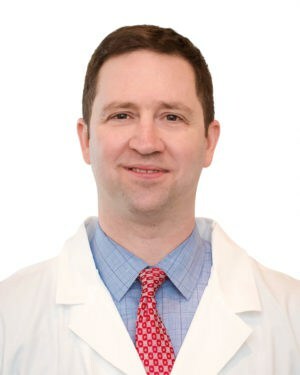 Next, Dr. Padraic D. McCahill discusses how shock wave lithotripsy works. "Lithotripsy is a combination of two Greek words: breaking and stone. The full name is 'extracorporeal shock wave lithotripsy.' So this is a technique that was developed in Germany in the 1980s, and they discovered that shock waves could be concentrated in such a way that stones can be broken without any instrument going inside a person. Now, shock waves won't travel through air. So originally, people were dipped in a vat—a tank of water—so that the shock waves could travel through the water and into the person, and the shock waves were then concentrated on the stone. Nowadays, we don't use a tank. You're lying in sort of a puddle, or there's a water pillow that's abutted up against your flank. The shock wave is generated, and it's focused with a mirror so that the center of the 'earthquake' is concentrated right on the stone. The shock wave is done 2,500 times. It takes 25 minutes, 100 shocks per minute. And then the stone is fragmented and breaks up, and, hopefully, passes." Watch. Dr. McCahill's complete video. 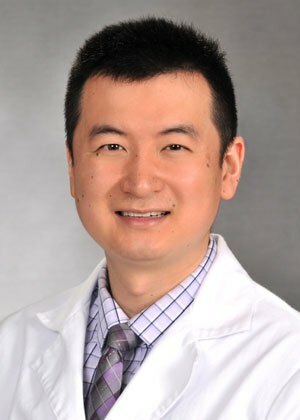 Finally, Dr. Xiaolong Shawn Liu talks about laser surgery for kidney stones. "Laser surgery can be utilized for kidney stones and also for the prostate, specifically benign prostate hyperplasia. People who have had kidney stones have most commonly probably undergone a surgery called shock wave lithotripsy, and that does work well in a lot of instances. But if you've had multiple shock wave lithotripsies and they haven't worked for you, we can offer laser surgery, specifically ureteroscopy. This involves looking into the ureter and kidney with a scope using a laser and breaking those stones where maybe shockwave lithotripsy has failed. It's more precise, there's no blood loss. It's very efficient and it's very effective. Watch Dr. Liu's complete video. Dealing with kidney stones? 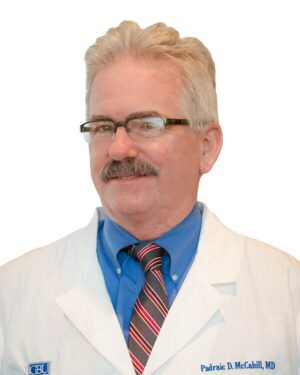 Schedule an appointment with one of our urologists.